For centuries, the primary purpose of adopting and raising a dog has been to protect its owners. Although not every person intends to take dog for this reason, many people adopt these wonderful creatures because they are faithful and loyal pets, and also excellent for guarding. Not every dog has the ability to perform this protection job. Certain characteristics such as physique, temperament, courage, strength and loyalty are required in a perfect guard dog. These specific breeds are generally loyal to their owners and can give them a full satisfaction of protection from unwanted animals, humans and other harms. Discussed below is the list of dogs which are frequently used as guard dogs. Take a look at these "guards" and see if you know them! The German Shepherd is a fearless guard dog which is very frequently taken by people for protecting human children. Originally the dog is calm in nature and does not over react in normal situations. But once this dog sees a signal of danger, he would become seriously alert and show willingness to protect his owners. This dog breed serves as a good companion. He is very fond of children and is an ideal pet for many families. Generally they are gentle, calm and well-behaved dog breed. They are very loyal with their owners and identify them very well. This can be proved as these dogs attack on the intruder only when they see their owners and their property are in trouble otherwise they remain calm. These dogs are better to keep because they do not cause too much harm. Fatalities with their attacks are least reported according to Centers for Disease Control and Prevention. This dog breed was used in World War II as guard dogs. 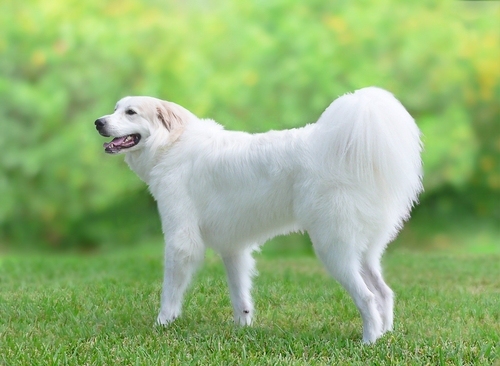 The Pyrenean Mountain Dog is also known as the Great Pyrenees in North America. 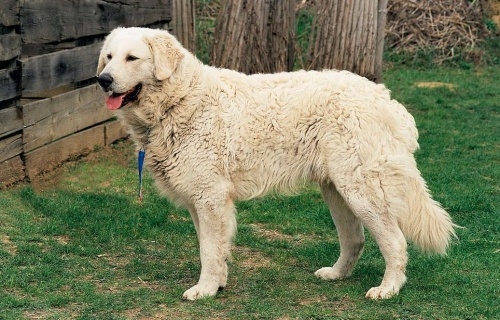 They have been used by shepherds as livestock guard dogs for hundreds of years. They are well-behaved but serious type of dogs which are very much aware of their owners and do not show much response to any stranger. They are very devoted and remain calm until they are provoked by some threat or danger. They are also strong-willed and can be slow to obey new commands, and a little stubborn to train. The Rottweiler is one of the very well-trained, well-behaved and responsible types of guard dogs. They are very loyal with their owners and remain alert because of their training. Non-trained Rottweiler can come out very dangerous and can take the situation in wrong circumstances. It is recommended to take these dogs out and socialize them to develop a self-assured nature , so they can respond well with the strangers. Their long height and physique gives them the property of guard dog breeds. But if improperly trained, they would become aggressive and dangerous. The Bullmastiff is used as both household pet and guard dog. These dogs are very tall in height with appreciable physique and courageousness. If any unwanted or harmful person or animal passes by their way, they would warn them by standing on their height and stop their way. They remain loyal with their owners and proper training makes this breed well-behaved and consistent. It is better to socialize them and train them appropriately and their less-barking property will also give you an advantage when taking them out. The Staffordshire Bull Terrier was originated from England and had been used for bull fighting. Then they were brought to America after some years and the name was changed to American Staffordshire Terrier to distinguish them as separate breeds. Different from bull dogs, the American Staffordshire Terrier is a people-oriented, courageous and very intelligent guard dog when he is made part of the family. Generally, this breed is gentle and friendly. However, if provoked, this dog will be a persistent fighter. This dog is loyal to his family and will protect them from any threat. The unsocialized dogs will be aggressive. So it is better to socialize them so that they behave appropriately with the strangers. The Giant Schnauzer is an extremely intelligent dog. This breed is deeply loyal to its owners and feels great responsibility to protect them. By nature they are very powerful, strong and of dominant type, they like to superimpose over others and this is why a strict training is required along with socialization. A constant attention and physical stimulation is required because of their dominant nature. They have a dense and coarse coat over their body surface. Because of their guard nature, they were used as military dogs in both the World Wars. The Kuvasz is very loyal to its owner. Although remaining calm with family members, these dogs bind a strong affection with them and possess an instinct to guard their owners and family. Generally, they are the guard dogs of territorial type. They are intelligent dogs and do not involve themselves in meaningless activities. They are usually polite and reserved with the strangers. It's important to train them early. But their owners need to be patient because this breed matures slowly. Originated from northern China, the Chow Chow is considered as one of the oldest breeds that are used as guard dogs. Owning cat-like personalities such as independence and stubbornness, they are usually less eager to please their owners. They are not much active in nature and can be used as household pet. They usually appear reserved and can display discernment of unwanted people and strangers. These dogs can be fiercely protective of their owners and family. Generally, they are well-behaved dog breed. To make them non-aggressive and socialized, early training is important. The Komondor, often called mop dog, is very affectionate with its owner and family, and very gentle with the children and friends of the family. These dogs are instinctively protective of the family and property. They have long and thick fur over their body surface which protects them from extreme environment and physical shocks. Generally, they remain calm but may become aggressive in case of danger. Due to their intolerant nature, they are not recommended as household pets and are generally kept outside the house for protection. With their protection, no stranger or intruder can enter into the house until the owner arrives. They are also extensively used for guarding livestock.